KUALA LUMPUR (April 19): AmBank Group Research said it expects the manufacturing and services sectors to continue supporting the economic growth and labour market. In an economic report today, AmBank Group chief economist Anthony Dass said the unemployment rate remained unchanged for the third consecutive month in February at 3.5% while the labour force participation rate (LFPR) inched up slightly to 67.8%. 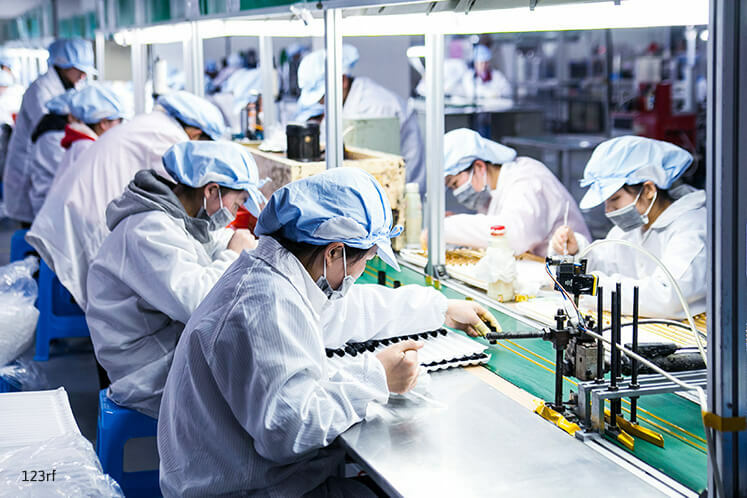 He said the number of people employed rose to 35,000 alongside a 1.4% year-on-year increase of new employees in the manufacturing sector despite a slowdown in wage growth. Dass said people outside the labour force is at 32.2% of the working age population, suggesting a trend of self-employment in the labour market. “We expect the manufacturing and services sectors to continue supporting the economic growth and labour market. “Our optimism is underpinned by a steady improvement in exports and domestic demand as well as the Nikkei Manufacturing PMI which, although still in the negative trajectory, is edging up to the 50 level which separates expansion from contraction,” he said. Dass said on the back of his 4.5% GDP growth projection for 2017, he projects the unemployment rate to hover around 3.3%-3.4% in 2017 from 3.5% in 2016. “Furthermore, the pending Employment Insurance System is expected to provide employment stability by reducing frictional unemployment, retrenched workers as well as youth unemployment,” he said.